Hello Ava, Outstanding! I do not own these devices(I have the UT3), but seeing Ugoos support devices that are not their latest, is fantastic. I think it bodes well for all Ugoos device owners. Thank you for the continuing support. Ugoos - Setting the standard. Being an owner of 2 UT2s I'm very happy to see this and am willing to help de-bug. I just installed it on a UT2 with 32GB and an RK3188T chip. 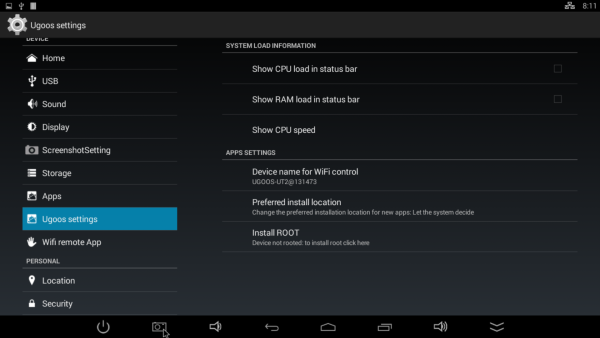 It's very smooth and fast and so far its a great ROM. 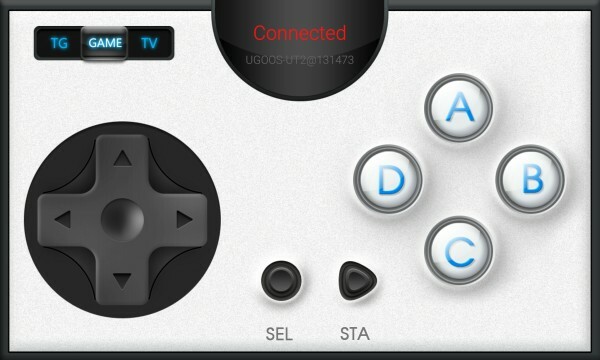 Only problem I have is the remote that came with the UT2 does not function as it should. The red,green, yellow and blue buttons do nothing. I think the red was supposed to turn on/off mouse mode and right now the menu button is doing that. All other buttons seem to be OK even if used with Kodi! Installed Kodi 14.2 and it's working very well and tomorrow I will test 5.1 passthrough on my TV. right now I'm on a PC monitor for the video out. So thank you Ugoos Team! You've done a great job! Now, how about a Lollipop? Last edited by flhthemi; 04-16-2015, 13:16. Thanks for the review. 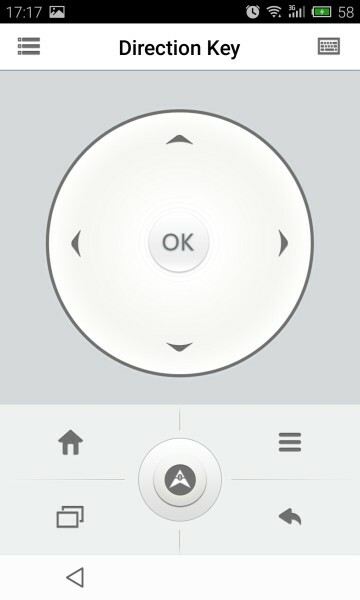 About the problem with remote control. yes few buttons doesnt work now. We add full support of remote controls in the next version. Happy to try on my UM2 - nice to see an update after so long. So far all looking good but have only just installed it and reinstalled some apps - looking forward to next update that can be done OTA so don't lose my settings etc. 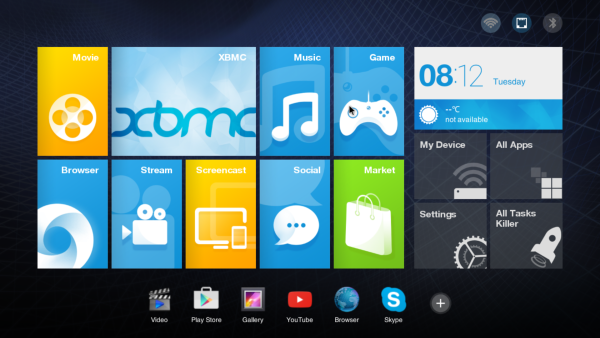 Will play with Kodi later after have re-configured it. Could you increase the app space from 1GB? Also note: If you set a static IP for Ethernet connection you will get hung at boot up in the Ugoos boot animation screen. Unplugging the cat5 cable at this point will allow it to complete the boot up sequence. Last edited by flhthemi; 04-17-2015, 05:35. I'm guessing that the UT1 firmware isn't rooted ? UT2 FW is not rooted so probably not. According to the App "Root Checker" it isn't rooted. That's a pity, because half of my apps do need root access. 1. Please add root support to this ROM (Maybe Riley oder FinlessBob can help). 3. 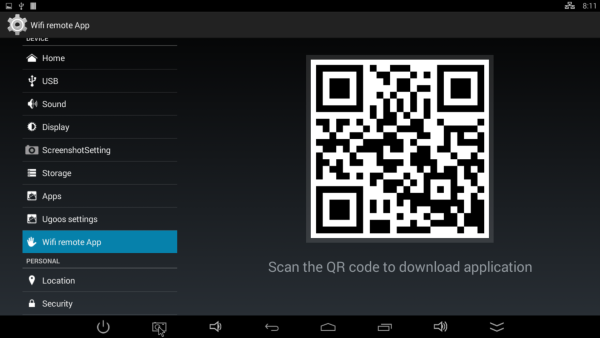 Please update to Kitkat 4.4.4 Build KTU84Q. 5. Are there any sources available? Is it possible that you extract the kernel from the image and make it available for download? Last edited by LX+R; 04-19-2015, 04:37. Unfortunatly it hangs in the startup flash screen. Thanks for that.I'd be happy to install it if I could get root access. 2,4. Thanks for the links. Perhaps in the near future we will implement it. 3. Sorry, but now we not planning updating the firmware to version 4.4.4 . Last edited by Ava; 04-20-2015, 23:16. No, I left it booting for more than 2 hours with no success. According the RKBatch tool, the flash was succesfull with the 'Upgrade' option. (The 'Restore' option which is often recommended fails). I have the UT1 connected by HDMI which apparently works as I can see it on my TV. The device is connected by ethernet cable. Please try reload firmware and reflash the again . And can you send to me picture with screen? update: Just downloaded firmware and flashed the device, all work... Which version of device you have? How many memory you have on your UT1? 16gb? Last edited by Ava; 04-21-2015, 00:31. I have the "UGOOS UT1 Android TV Box Quad Core Smart Receiver 2G/8G HDMI USB Dubbele antenne Optical WiFi Media Player XBMC" version.